South Africa is the country to most recently legalize cannabis. South Africa’s highest court has legalized using cannabis for adults in private places as well as growing cannabis for private use upon ruling that the previous law that banned cannabis is unconstitutional. “It will not be a criminal offense for an adult person to use or be in possession of cannabis in private for his own personal consumption,” said Deputy Chief Justice Raymond Zondo. The ruling comes after a decision made last year by a provincial court that legalizes cannabis for private use in Western Cape where the country’s capital, Cape Town, is situated. CAPE TOWN - Trade and Industry Minister Rob Davies says his department has undertaken research to try to better understand the benefits of cannabis products for the South African economy. Davies says DTI recognises the potential value to be derived from commercial value chains of cannabis and related products like oil and hemp. The research seeks to understand, from an industrial policy perspective, the obstacles and opportunities for South Africa to become an active and innovative player in this growing market. Canada has just legalized the recreational use of marijuana. It is the second country to legalize the plant’s recreational use.The Cannabis Act was passed on Tuesday, 19 June 2018 in a 52-29 vote in the Senate. 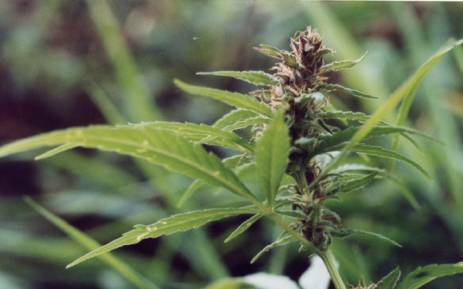 The bill controls and regulates how the herb can be grown, distributed and sold. Canadians will be able to buy and consume cannabis legally from September. Adults over the age of 18 will be allowed to possess up to 30 grams. In March 2017, Justice Dennis Davis handed down a judgment in the Western Cape High Court that declared sections of the Drugs and Drug Trafficking Act, invalid and unconstitutional. Specifically he took issue with the provisions that prohibit private and personal use of dagga at home as a violation of the right to privacy. Tilray has added South Africa to the list of countries where it’s exporting made-in-B.C. medicinal cannabis and extracts. “With this announcement, Tilray products are now available in nine countries on five continents,” the company’s CEO, Brendan Kennedy, said quoted in a media release. Earlier this year, South Africa’s courts ruled that home use of cannabis will be legal. The ruling from the Western Cape province High Court does apply across the nation, but the decision is really more about privacy than it is about pot. Durban - KwaZulu-Natal emerging farmers are going to get the chance to cultivate a “miracle crop” that has the potential to transform the South African economy, while creating thousands of much-needed jobs. And the plant that will be grown in six rural areas of the province to help to bring prosperity to the region and the country is cannabis, also known as hemp or dagga. The project has the backing of nine government departments and the first local briefing session about the crop will be held in Camperdown on Thursday to an invited group of small-scale rural farmers. The Citizen reported this week that those who want to grow cannabis for medicinal purposes will be able to do so by the end of the week. “The MCC is meeting next week to approve these [regulations and application forms] and once they have approved them they are for use by the public,” health director general Precious Matsoso said. “In terms of the growing process, the Agricultural Research Council has been applying, but now it’s a process that requires partnership between, among others, the department of agriculture, the department of science and technology and the department of trade and industry,” she said. While a High Court bid to legalise marijuana continues in Pretoria, several international experts weighed in on the topic during the recent Drug Policy Week conference in Cape Town. Watch. Human rights activist Anand Grover serves on the Global Commission on Drug Policy, is a senior advocate in the Supreme Court of India, a former UN Special Rapporteur on the Right to Health, and Director of the Lawyer's Collective in India. For one South African mother, cannabis was an illegal drug to warn her son about when he became a teenager: today, she uses it to treat his rare medical condition. Now the ban on using the drug is being challenged in the High Court, raising the possibility that it could effectively be decriminalised. "When I first heard of medical cannabis, I thought they were smoking it because they wanted to get high," said Susanne, who asked for her real name to be withheld. "Then I had a kid who could actually benefit from it." She remembers the impact that cannabis oil appeared to have on her seven-year-old son, who suffers from Costello syndrome which causes delayed physical and mental development.